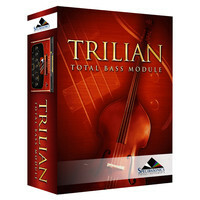 Spectrasonics present Trilian the long awaited successor to their award winning Trilogy bass module. The new instrument has a much larger core library and features highly detailed new acoustic electric and synth basses – as well as enhanced versions of the classic Trilogy sounds. Sporting a brand new user-friendly interface with numerous software innovations. Trilian is the first 64-bit native software based on Spectrasonics STEAM engine and is the first virtual instrument to feature full library integration with the companys flagship Omnisphere synthesizer. The Spectrasonics Omnisphere 2 is a completely re-injected version of its extremely popular predecessor Omnisphere but with an unbelievable amount of new features and improvements. Spectrasonics have worked meticulously on every feature within Omnisphere 2 whether its the 400 new DSP waveforms 3000 new patches improved user interface 25 new effects units or the innovative new granular synthesis mode which allows you to create a synth from your own audio to create the most powerful synthesizer virtual instrument on the market. 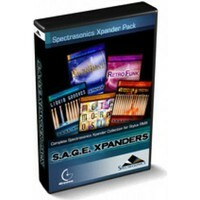 Includes all 5 of the Spectrasonics Xpanders: Every original Stylus RMX user who doesnt already own these fantastic groove libraries will want to get this special package as it represents an extraordinary value. The Spectrasonics RMX Stylus Xpanded Virtual Instrument contains a total of over 13 Gigabytes of massive sounds and grooves. 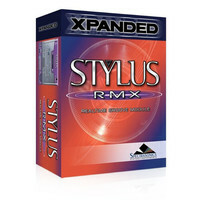 This fantastic package includes Stylus RMX and five Spectrasonics SAGE Xpanders: BackBeat Retro Funk Metamorphosis Liquid Grooves and Burning Grooves.